Item number Cb83 from the MOA: University of British Columbia. Man's wide, drawstring cotton pants with cuffs and embroidered design. The pants are made from woven strips seamed together. 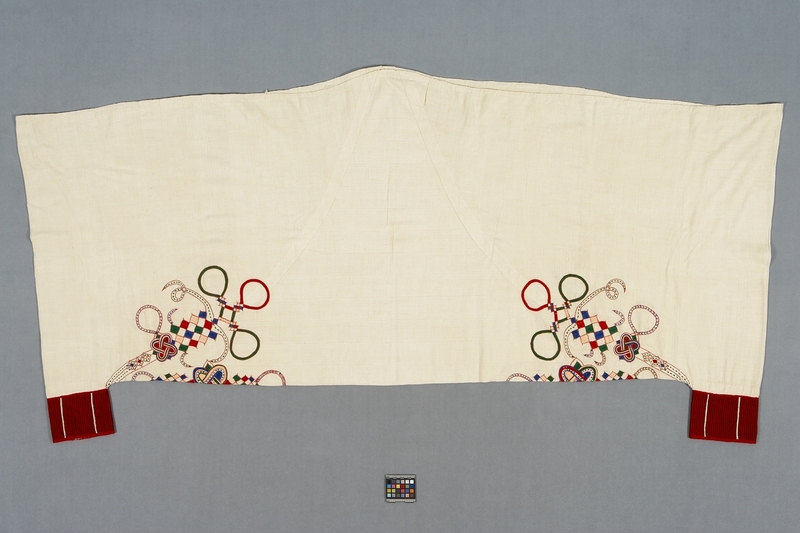 The front and back are very wide and seamed at sides and across the bottom leaving the corners open and gathered into two cuffs. The cuffs are green and red striped, with the occasional wide yellow stripe. The top edge is turned over to form an easing for a drawstring. The lower front of the legs are embroidered in red, green, blue, yellow, pink, in a complex interlocking design. 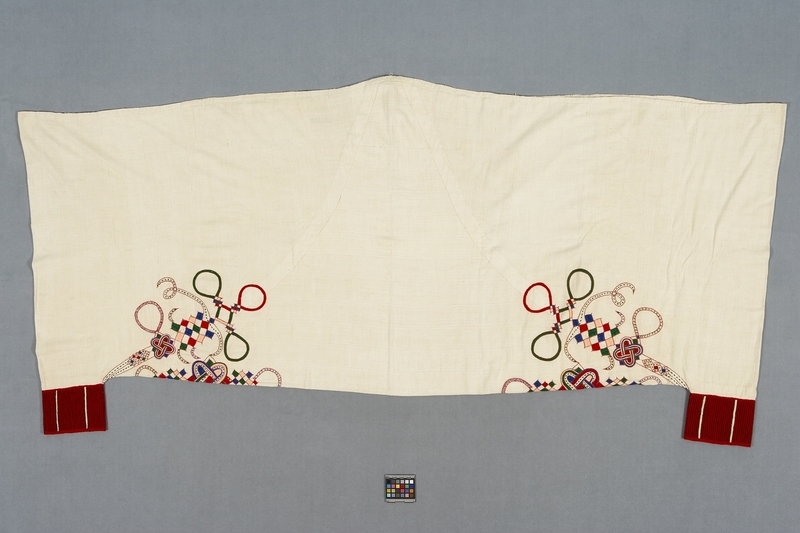 Typical of Hausa style clothing, these white cotton and embroidered pants, reflect pervasive Islamic influences. This influence on the sub-Saharan area of northwestern Africa has been asserted through long established trading and travel patterns, as well as through conquest. Many of the 'Dagi knot' and other complex motifs have Islamic ritual significance, and specific designs are created by Koranic scholars for artisans.